I was recently invited by my "CBKS" friends +Jephunneh Deon Flores and +Marie Imperial to join them on a food tasting event at Luwag Native Seafood Grill in Gaisano Mactan Island Mall 2, Lapu-Lapu City. 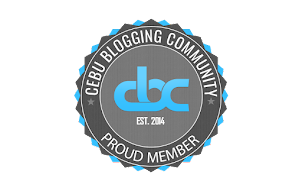 I was expecting the restaurant to be just a typical Filipino restaurant that serves favorites like crispy pata, sinigang, sisig, pansit, and kare-kare. 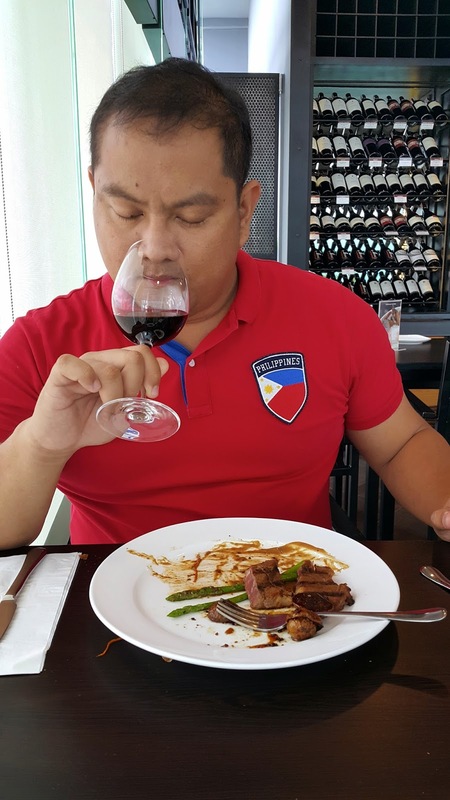 After eating at Luwag, I realized that Filipino cuisine is constantly evolving and once in a while we get to try "new" dishes inspired by the food cooked by our grandparents. Owner Romel Pia credited his love and interest in cooking to his Lola Pascuala. He grew up eating and cooking traditional Cebuano dishes cooked by his grandmother. 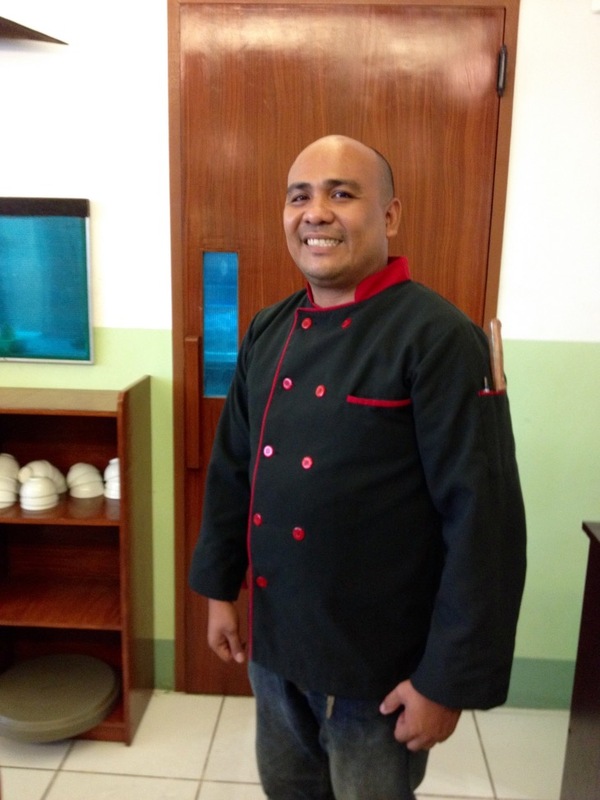 Sir Romel graduated with a degree in Commerce, but his love for food led him to work in some of the established restaurants in Cebu. 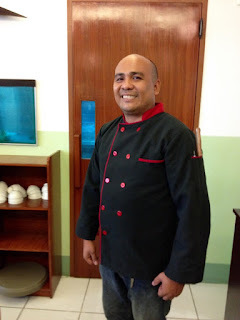 He partnered with entrepreneur Leonhardt Cabahug to open Luwag Native Seafood Grill. 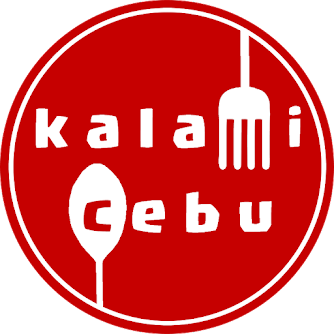 He opened a Filipino-themed restaurant because he wants to highlight Cebuano comfort food like Utan Bisaya and Nilarang na Isda. 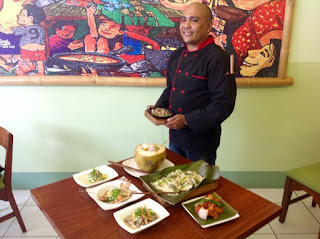 He augmented the restaurant's menu with popular Filipino dishes which would make balikbayans really happy. 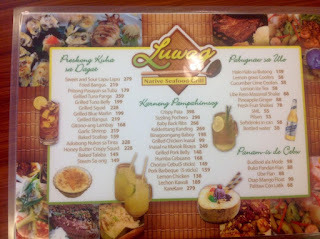 I was able to try some of Luwag's specialties and I was truly impressed. 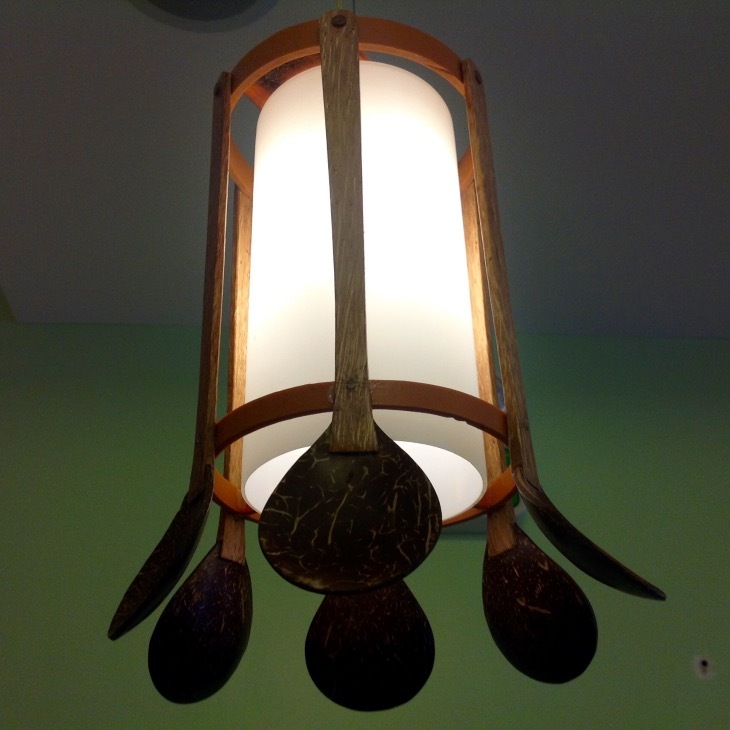 This soup dish is served on a coconut shell. 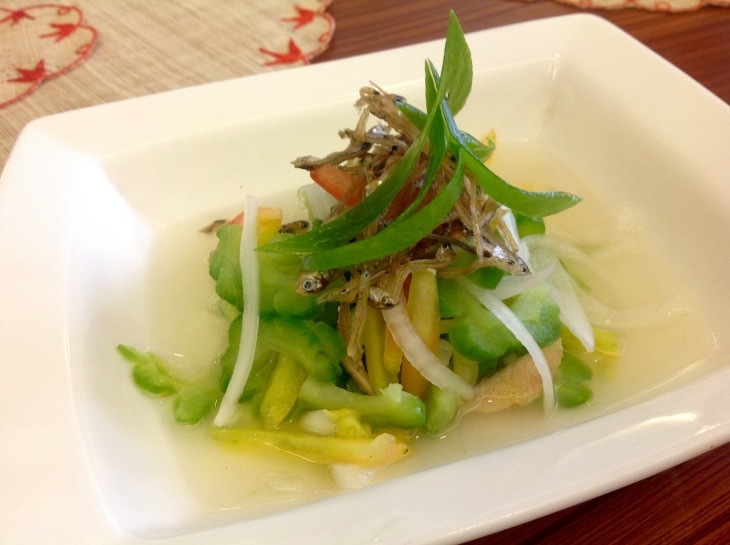 Luwag uses coconut water to cook the kinason or sea shells making it not as bitter as the tradinational punaw soup. The soup is refreshing. 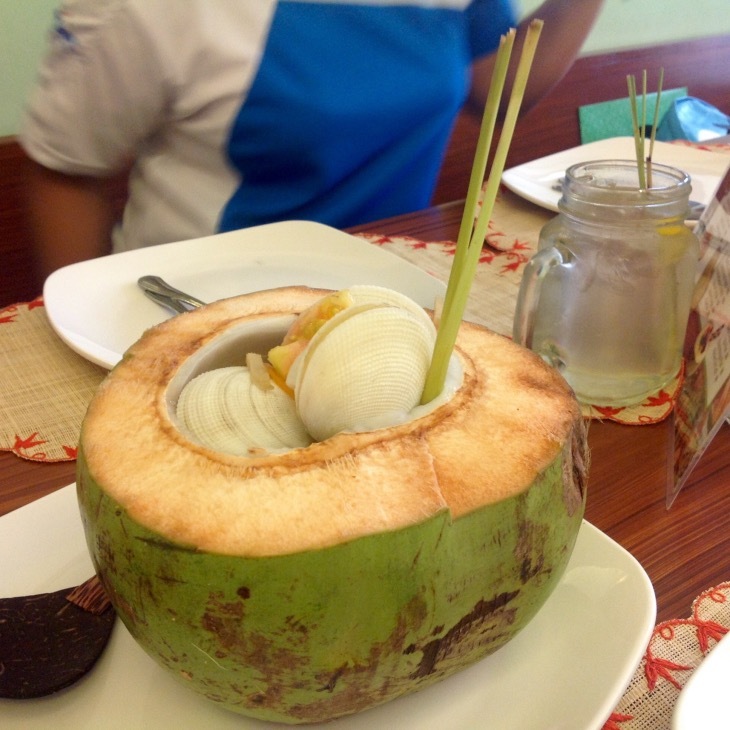 You can also eat the coconut meat after enjoying the shells and soup. This is a good dish for the health conscious. The ampalaya is soaked in vinegar along with onions and tomato then topped fried dilis. It is a solid appetizer to open up your palate. Luwag Native Seafood Grill's Sinuglaw uses Diwit or Cutlassfish which has white meat. The mouthwatering dish has slices of grilled pork belly. 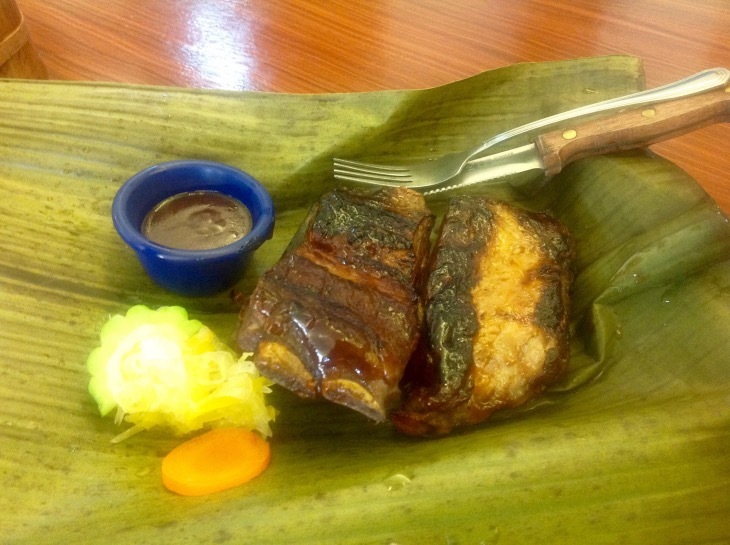 Sinuglaw is one of the most popular appetizers in local restaurants as it combines 2 classic dishes: the sinugba (grilled pork) and kinilaw (fish ceviche). 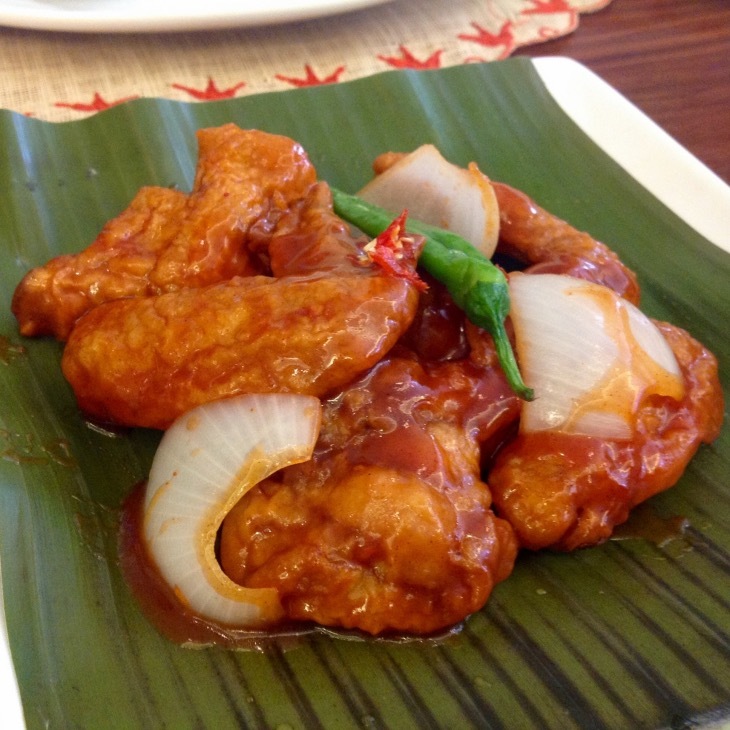 Luwag's Chicken Wings offering is pretty balanced with enough spiciness to tickle the palate. 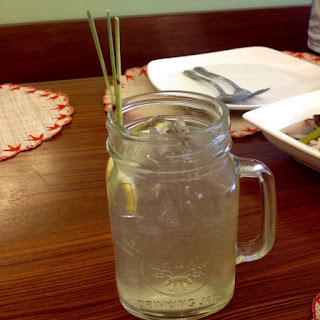 The lemon grass drink is an instant favorite. It combines the refreshing and soothing scent of tanglad (lemongrass) with the acidity of the lemon and lemonsito. It is probably one of the best rice creations that I have tasted in local Filipino restaurants. 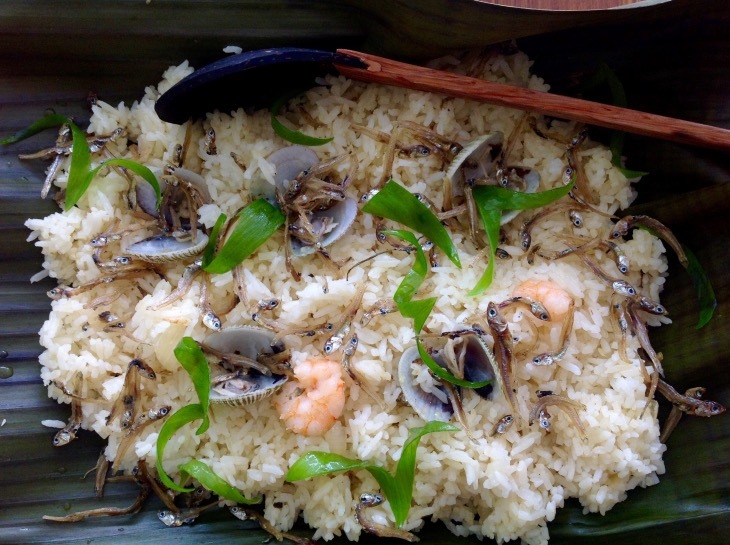 You can really smell and taste the bounty of the sea with Luwag Native Seafood Grill's seafood rice. It is not too oily and the rice dish is topped with shrimps, squid, clams, and dilis or baudnon in bisaya. Crabs and coconut milk make an awesome combination. 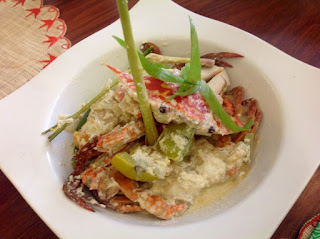 The crab in coconut milk will surely make Bicolanos and even Indians happy. Luwag has a good variety of seafood dishes and this dish will be a hit to shrimp lovers. 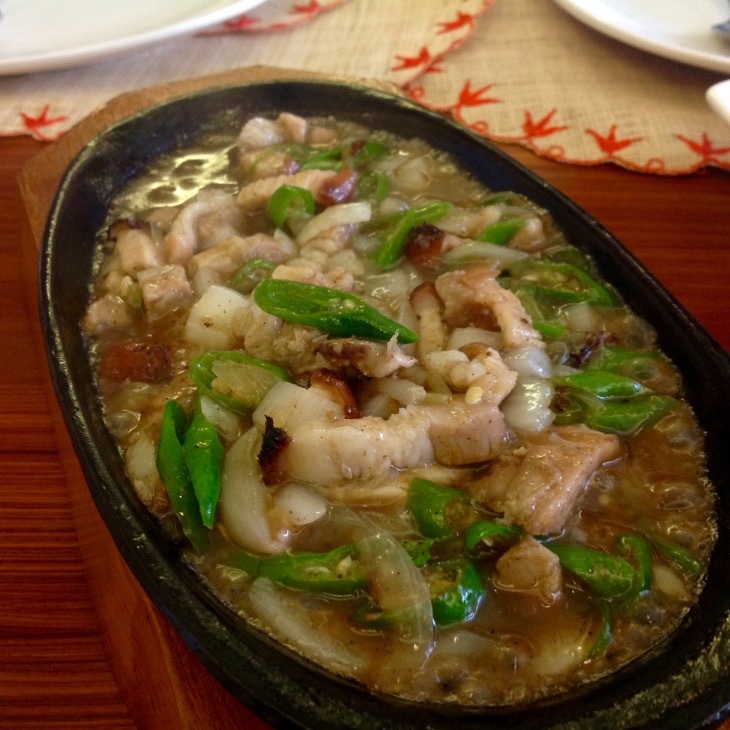 Filipinos love pork and Luwag Native Seafood Grill has an excellent line-up of pork dishes starting with the Lechon Sisig. 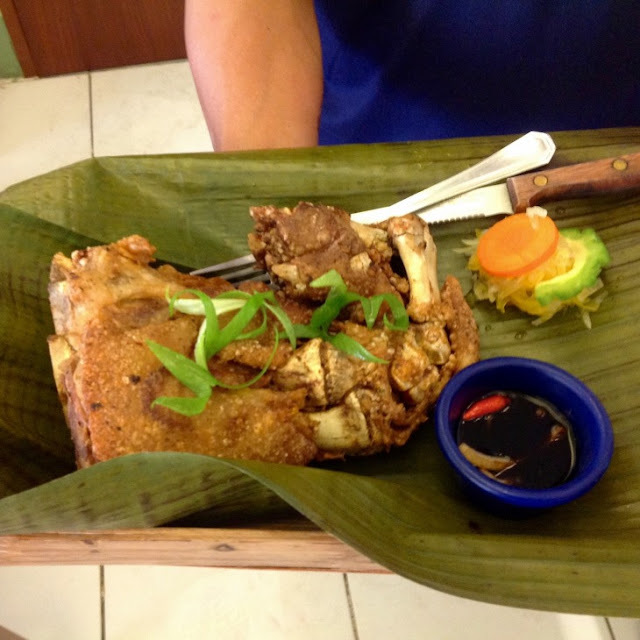 The restaurant makes their own lechon belly and then transforms the meat into delicious sisig. Their version of this Kapangpangan favorite is sweet, spicy, and chunky. This well-plated dish features a crunchy lechon kawali with sweet bago-ong along with green mango strips, tomato onion, and fried eggplant. This dish really works for me. 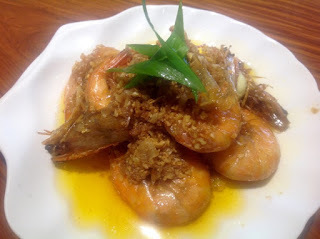 This is the type of dish that can make you eat a lot of those seafood rice. 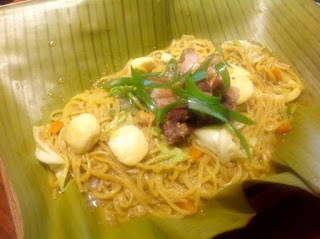 Luwag's version of the Pancit Canton is soggier than the typical pancit, but it is flavorful. The noodle dish is topped with lechon kawala slices. 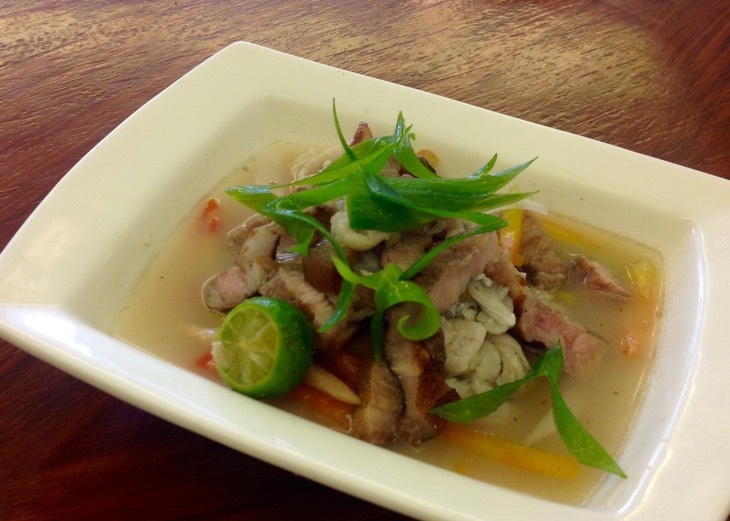 This is another dish that is topped with lechon kawali. 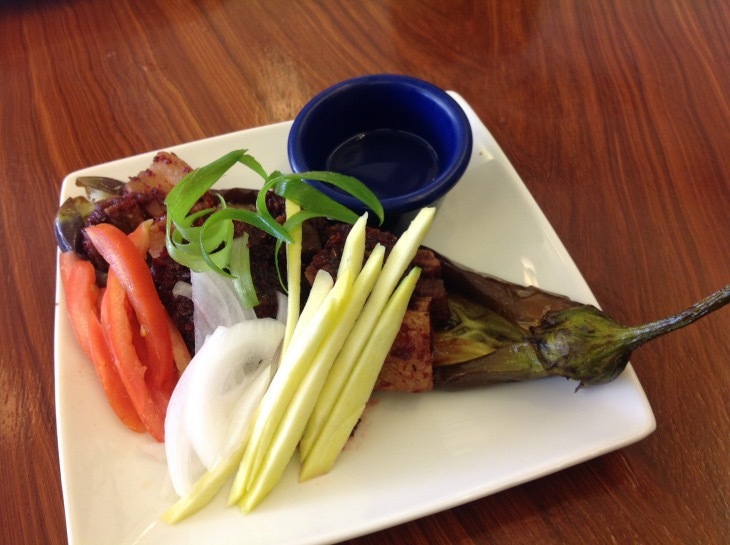 Their version of pinakbet reminded me of the pinakbet of the Ilocanos that is topped with some crispy bagnet. This tadyang dish is seasoned Filipino-style which reminds me a lot of the Crispy Tadyang dish offered in other restaurants. I love the flavor and I am sure many will like eating this dish. 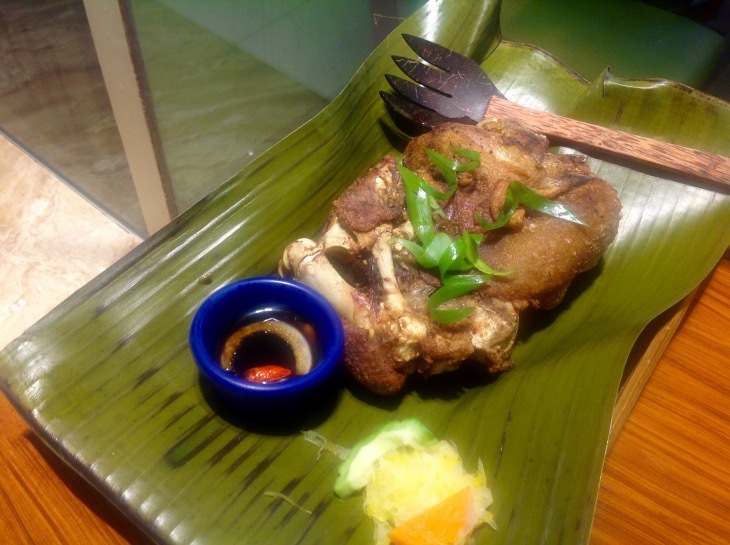 The crispy pata is always one of the bestsellers in Filipino restaurants and Luwag's version is no different. 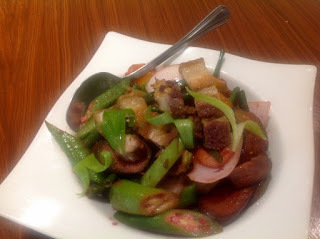 Who would not like eating crispy pork skin, and soft and succulent fried pork meat? 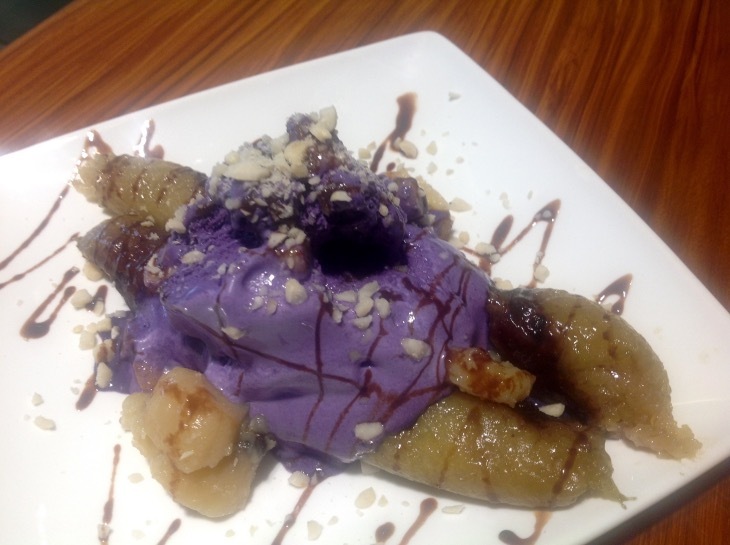 Delicious local sticky rice delicacy topped with Ube ice cream. It also has sweetened banana on the side and it is sprinkled with chocolate syrup and nuts. Hot and cold, it is an awesome dessert to have after feasting on delightful Filipino dishes. This dessert was invented by accident when Sir Romel and his children ran out of graham crackers for their mango float. 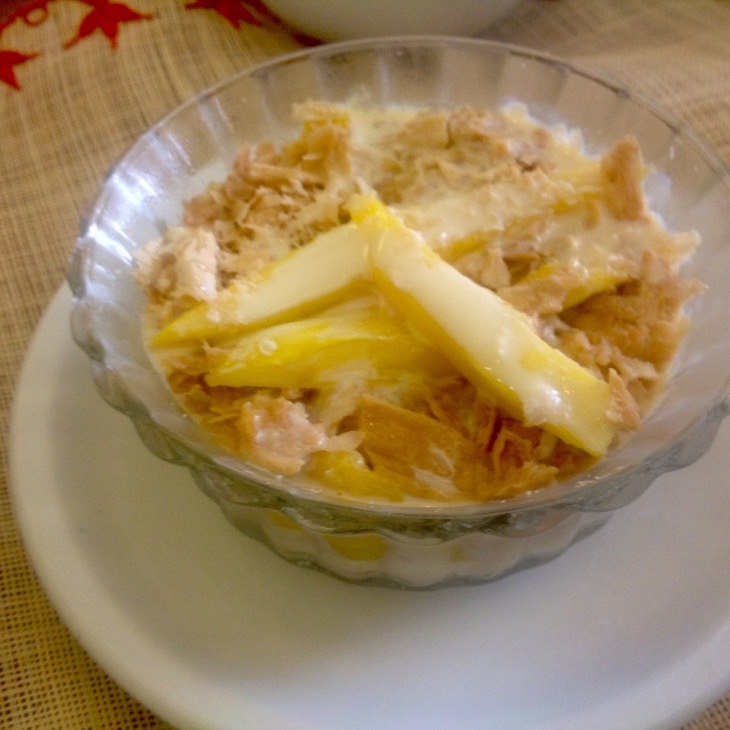 The flaky otap gives Luwag's mango float a different texture. This is another must-try dessert. Luwag Native Seafood Grill has a lot of potential of becoming a go-to place among balikbayans especially in the Lapu-Lapu area. 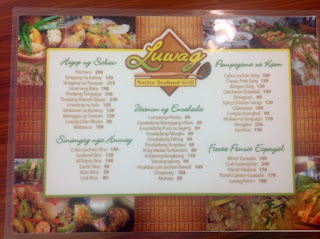 Their menu is full of surprises and I would not hesitate to recommend this to people who want to eat Filipino food. 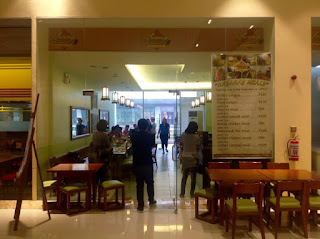 The newly-opened restaurant also offers value meals that are perfect for solo diners and couples. 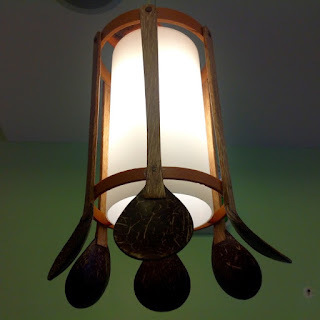 Price-wise, it is very affordable for folks who are looking for a special meal. If you love Filipino food, you should try eating at Luwag Native Seafood Grill. Let me know what do you think about the food that they serve here by posting a comment. Why Cebu should try Golden Prince Hotel's Taste of Heaven Buffet?